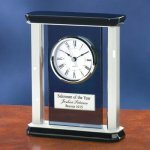 This piano finish wood desk clock award measures 3 1/4" wide x 1 7/8" deep x 4 1/8" tall with 2 1/2" x 7/8" engraving plate included. 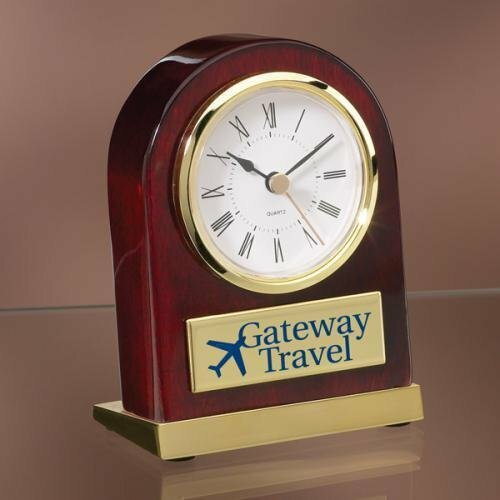 This desk clock award tilts back at a slight angle on top of a brass base. 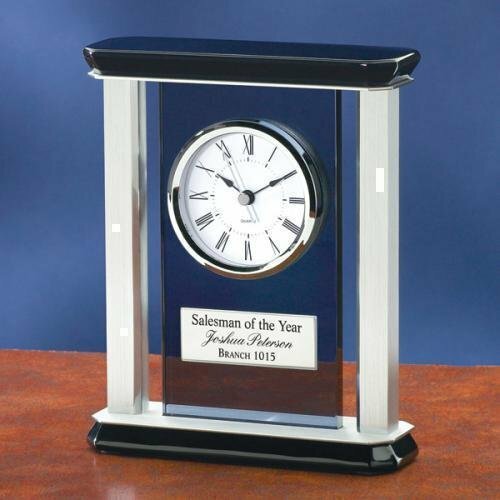 This clock award will accent any desk or bookshelf and is perfect for any employee award, achievement award, religious award or sales award presentation. 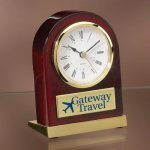 Makes a wonderful boss gift, executive gift and secretary gift. 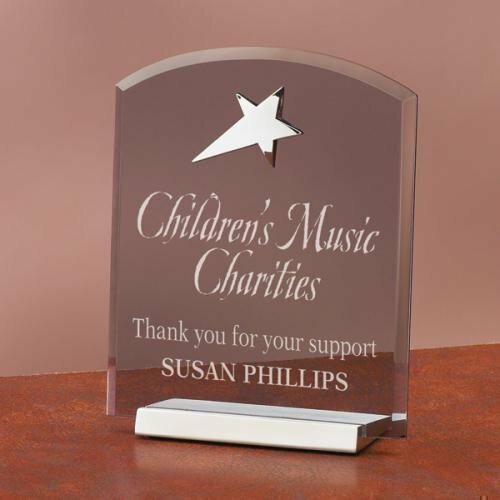 Three sizes available in this smoked glass flame design award that sits on top of an oval black piano finish wood base with chrome metal accents. 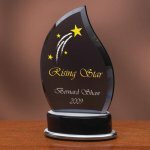 Make your next award presentation a success by gifting this award for employee recognition, achievement, sales and service award. 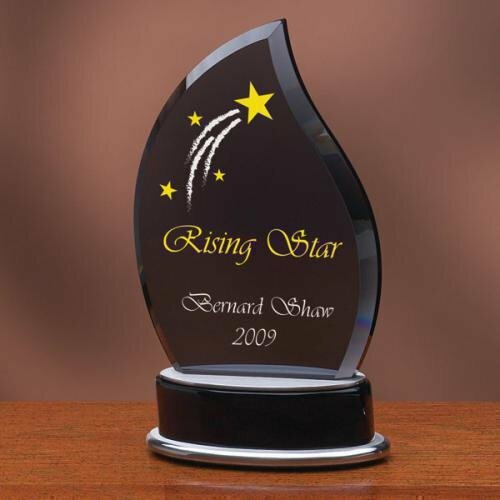 The flame design works well for religious awards presented to those on fire. 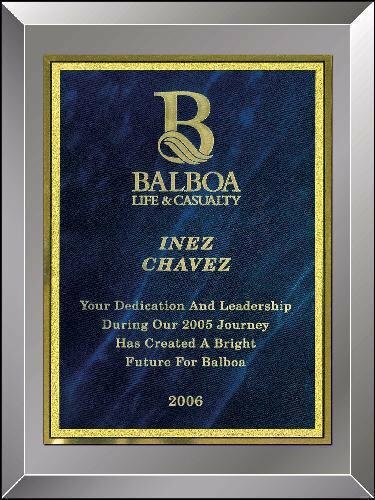 Smoked Mirror Plaque with backing and hangers attached. This comes individually boxed. 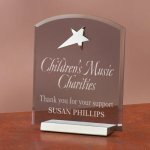 Available in six different sizes.